Home Action Alerts & News No Manchester Pride in Prisons! “Trans people within the prison population are often housed within prison facilities of the wrong gender. Recently we have seen the cases of Tara Hudson, Vicky Thompson, and Joannne Latham, trans women incarcerated within male prisons, in the news. Thankfully Tara Hudson has now been released but sadly Vicky Thompson and Joanne Latham died as a direct result of the institutional transphobia within the prison system. We believe that police officers, regardless of their own sexuality or gender identity, are complicit in the prison system’s degradation of human lives and the oppression of LGBTQ people. “Whilst research on sexuality and gender identity within prisons is scarce, we know that Lesbian, Gay, Bisexual, Trans and Queer (LGBTQ) people are disproportionately policed and disproportionately represented in the prison population. “Pride is a commemoration of a trans led, anti police riot. Some may say cops at Pride is a sign of times changing. We say its an insult to our elders & a risk to our community. When we talk about trans prisoners, we need to talk not just of the prison system, but of the courts, and of the police .. People may view cops, courts, and prisons as separate institutions. They are not. The cops know what its like in prisons, so do the courts. They know the likely result of their actions. The effect it will have on trans [people]. 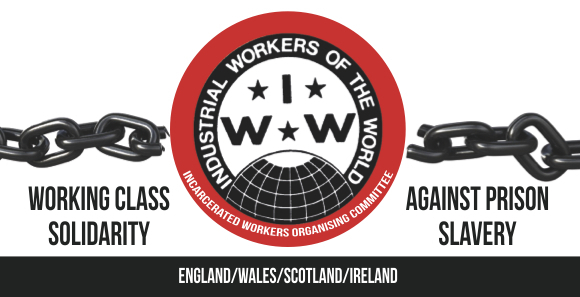 Follow Action for Trans Health (Twitter, Facebook), Manchester No Prisons (Facebook) and the Incarcerated Workers Organising Committee (Facebook) to hear about future events and actions. Come to Action for Trans Health’s DIY Transfeminist Festival, September 23-25, or see their “Queers against the prison-industrial complex” workshop at LadyfestMCR on the 8th October. Join Manchester No Prisons — next organising meeting TODAY Tuesday, 6th September, otherwise e-mail noprisonsmcr@riseup.net or message on Facebook to find out what’s going on.